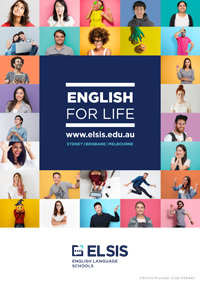 Every week ELSIS students have the opportunity to participate in a range of free workshops designed to help them achieve their language and academic goals as well as increase their chances of finding a suitable job while studying. ELSIS runs workshops every day at different times which allows students on morning, afternoon or evening timetables to take advantage of this opportunity. Each workshop is a one hour lesson with some workshops running twice a week and individual tutorials run on a daily basis. At ELSIS we want our students to have an exceptional experience, therefore workshops are adapted to meet student needs and constantly updated depending on student demand. Students who have attended workshops have found them very useful, not only because they have helped them improve their English but they also learned a lot about life in Australia, tips on how to find a suitable job and how to communicate more effectively with people. Our teachers are very helpful and are ready to answer your questions so please register for a free workshop today!